Alexander Zverev shocked and awed Novak Djokovic, for his first ATP Finals Title in London. Alexander Zverev shocked and awed, and dismissed, Novak Djokovic 6-4, 6-3 at the ATP Finals in London. The change in Sascha’s game. How did Sascha suddenly learn to move in behind his hard and well-executed shots? Not only did he follow the well-placed shots into the baseline routinely, but also displayed Roger-like touch with deft drop-volleys-and-shots at the net. This missing piece to his game, suddenly and somehow, came together in the finals, of the ATP Finals, against the ultimate grinder in the sport. Tennis: Are Tsitsipas, Shapovalov, and Zverev the NextGen’s Big Three? Previously, Zverev’s court positioning did not allow him to take advantage of his powerful shots. Alexander Zverev always had the power in his shots and services and created ample opportunities by drawing loose mid-court balls and, in many cases, sitters from opponents. 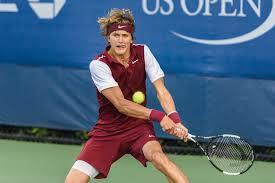 Zverev, however, was rarely in a position to take advantage of those opportunities. His basic game strategy had been to drop 140 mph serve-bombs from the baseline and then belt 100 mph ground shots from five feet behind it. His, stay 5 to 10 feet behind-the-baseline, court-positioning allowed opponents enough time to absorb the power of his shots and recover court-position and, thus, effectively nullify Zverev’s weapons. Against Djokovic, Sascha moved in behind his well-placed shots. Against Novak Djokovic, however, Sascha stood at the baseline and rarely missed a chance to move in behind a well-placed shot. This aggressive tactic, right out of the Maestro’s play-book, robbed Novak of those precious milli-seconds required to recover position, and the speed and weight of Zverev’s shot had Djokovic on his heels while scurrying to send the next ball back. Had Sascha Zverev stuck with his usual strategy of staying forever behind the baseline, he would not only have provided enough time for Djokovic to recover court-positioning but also turn defensive positions into offensive ones easily. 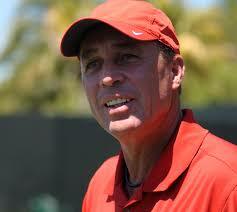 Did Ivan Lendl ask Zverev to implement this change all of a sudden? Even so, all credit to Sascha for pulling it off without enough prior-experience. Sascha behaved like a champion and big-gun. Sascha’s demeanor was that of a champion and big-gun. Perhaps, he gained confidence from his win over the Maestro in the semis. He was not afraid of going toe-to-toe with the master-grinder and did not rush to finish points from the baseline. He stayed in the rallies and waited for the opportunity to finish from inside the baseline. Zverev was rewarded, for his patience, grit, and the successful execution of the aggressive move-inside-the-baseline strategy, with a 6-4, 6-3 win over Djokovic. Will Alexander Zverev be able to implement the same winning game-plan over five sets in a slam? We look forward to an exciting 2019 ahead. ← Zverev, denies Federer, to face Djokovic at the ATP Finals in London.